Aviemore Holiday Home. Walking Holidays, Golf, Skiing, Mountain Biking, Winter Climbing. Avonglen at the heart of the Cairngorm National Park. Located at the heart of one of Europe's largest National Parks, Avonglen is superbly situated whether you're an adrenaline junkie or prefer a relaxing and gentle walk in the forest. Whatever the time of year there are near endless possibilities for outdoor pursuits. Golf, mountain biking, skiing and boarding (winter), rock and ice climbing, walking, gliding, water sports, off road driving, clay pigeon shooting, dog sledding and even whisky tasting distillery tours if the weather doesn't play ball and many more all on our doorstep. With nine courses to choose from within Strathspey and many more within easy driving range including the famous Royal Dornoch, Avonglen is a golfers dream. You might need a second week or to come back again to fit them all in. See our Golf page more information on local courses. 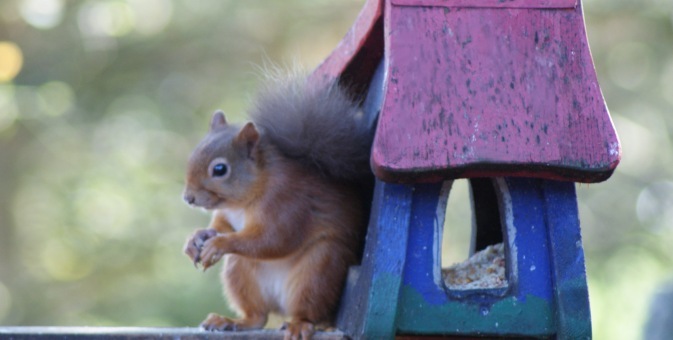 Five star rated guided wildlife and bird watching excursions with Highland Wildlife Safaris. Visiting remote areas of the highlands, a little walking is done to show you the treasures that the casual visitor may never have realized existed. From the ancient Caledonian Pine Forests surrounding Aviemore to the high tops of the Cairngorms, there's a huge variety of potential walks. The forest trails around beautiful Loch an Eilean at Rothiemurchus provide fairly easy low level routes in the shelter of the ancient pine forest and offer an ideal opportunity to spot red squirrels and native birds. 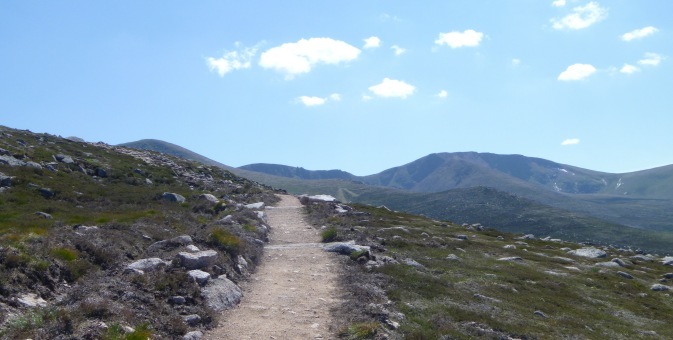 A number of footpaths radiate out from the Coire Cas car park on CairnGorm, providing options for short walks of half an hour or less up to high and remote mountain walks that require you to be fully equipped. Avonglen has five sets of walking poles, three pairs of binoculars and three back packs that are all free for guests to use. CairnGorm Mountain, Rothiemurchus Estate and the RSPB at Loch Garten / Abernethy all provide a programme of Ranger Guided walks throughout the year, these cover a variety of locations and topics and can be a fascinating way to learn more about the area, the mountains and the flora and fauna. CairnGorm Mountain is just a 15 minute drive from Avonglen with trails to suit all abilities, the season typically runs from the end of December till late April, but can be longer or shorter. A regular Ski Bus operates during the winter season from Dalfaber, just a couple of minutes walk from Avonglen. Skis, Boards, Boots and clothing can be hired on the Mountain. For skiers & snowboarders wishing to broaden their horizons, the Lecht which is ideal for learning and families is just under an hour away, while heading West Nevis Range and it's challenging lift served Back Corries are just over an hour away. 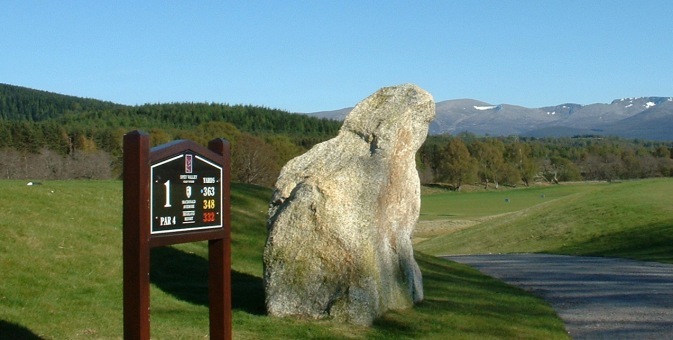 Glenshee and Glencoe are approximately 2 hours from Aviemore. The Northern Corries of CairnGorm Mountain are amongst the most popular and most accessible winter climbing venues in Scotland offering a wide range of grades from the easier grade 1 gullies to extremely challenging mixed buttress routes. Nevis Range is just over an hour's drive away and the Gondola provides easy access to the popular climbing locations on Aonach Mor, while Creag Meagaidh is little more than 30 minutes away. Ski Mountaineering offers up a unique way to explore the high tops and also to get in some amazing and remote descents, but high level touring on the Cairngorms Plateau is not for the inexperienced. If you want to try out winter climbing or ski mountaineering there are several local guides based in the Strath or you could do a relevant mountain skills course at Glenmore Lodge, Scotland's National Outdoor Training Centre. Avonglen provides a couple of sledges for your use on those occasions there is snow lying in the Strath. 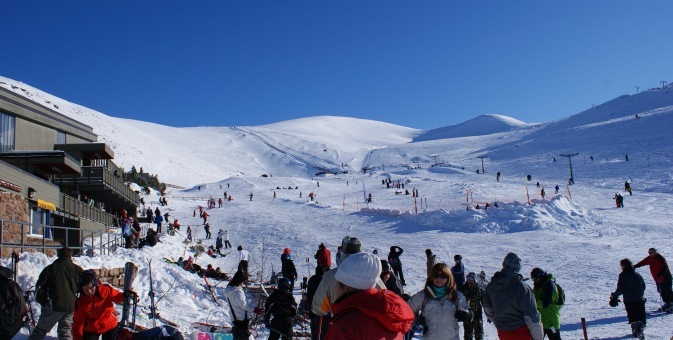 There are several good sledging slopes in Aviemore, the area below the Four Seasons hotel is very popular and the Hayfield at Glenmore situated at above 1000ft may have snow even when there is none in Aviemore. Don't despair in Summer, at the Glenmore Shop there are summer sledging sessions on offer on their dry ski slope and weather permitting grass sledging is available during the peak summer season at the Hayfield, also at Glenmore on the road to CairnGorm Mountain. Avonglen provides four mountain bikes for hire exclusively to our guests so you can get out on two wheels and discover why the International Mountain Biking Association voted Scotland as their "Global Superstar" in 2005 and 2006 for outstanding mountain biking facilities. Whether you're looking for a gentle ride through the forest on easy going tracks or more challenging high level terrain or the purpose built single track of the numerous dedicated mountain biking facilities in the Highlands (all the way up to the mind-blowing World Championship down-hill at Nevis Range), there is literally something to suit absolutely every ability. It's possible to cycle from Avonglen to Loch Morlich at Glenmore off road via Rothiemurchas following the cycle path that runs parallel to the Ski Road, or for the slightly more adventurous via the Sluggan Pass on forest roads. Hidden within the Sluggan Pass is a little known but fantastic loop of purpose built single-track, but you'll have to find it! 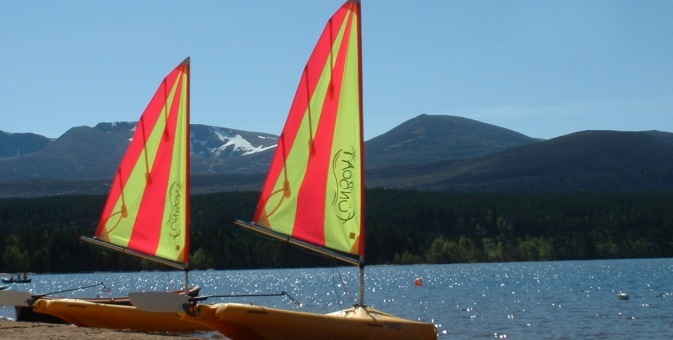 From late spring through the summer months two of the most scenic water sport centres in the country are close by, Loch Morlich by the ski road to CairnGorm at Glenmore and Loch Insh located a few miles upstream of Aviemore. A number of companies also offer white water rafting tours on rivers around the Highlands. If you think there's nothing better than lazing on a sandy beach on a warm summer's day you might be surprised to know you don't need to head to the coast. Instead for one of the best and undoubtedly most beautiful beaches around take the road to CairnGorm for the scenic Loch Morlich, who's beach at 1100ft nestles at the foot of CairnGorm Mountain. As returning visitors it's refreshing to see the usual high standard maintained. Well worth the 5 star rating. Thanks again to all & hope to see you next year. Hugh & Elspeth Franklin, Wishaw. November 2013.